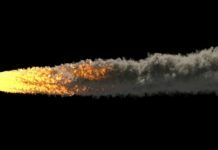 Two bright fireballs have been recorded exploding in the night sky over Spain on two consecutive nights, Sept. 11th and Sept. 12th. 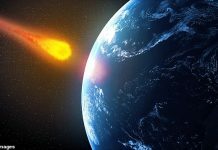 The first bright meteor disintegrated on September 11, 2017 at 1:26 am local time. It flew through the atmosphere at an altitude of about 80 km and exploded at around 30 km from the ground. 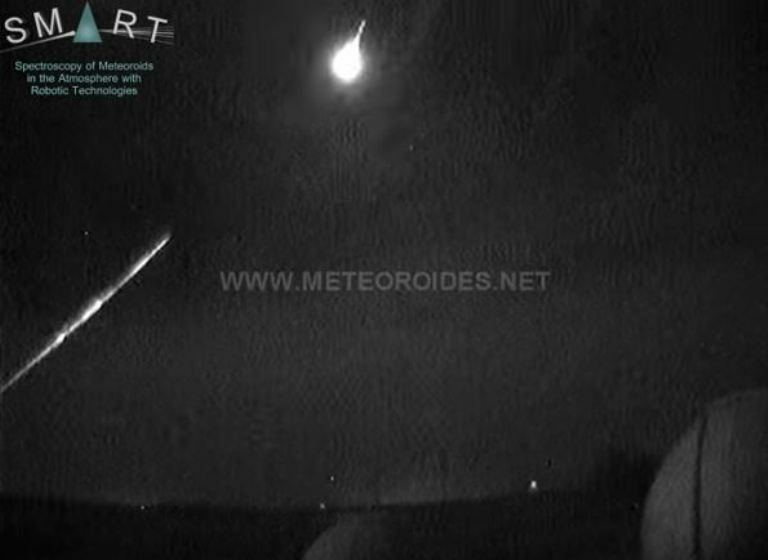 Cameras shot the space rock at La Hita (Toledo, Spain), Sevilla and Huelva. 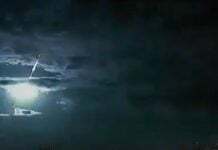 The second bright falling star changed the night into day on September 12, 2017 at 3:35 local time. It started its disintegration at 84 km and ended it at 31 km. The bolide was recorded at Calar Alto (Almería), La Hita (Toledo, Spain), Sevilla and Huelva. Do you have another fireball to report?